The UK public sector has sometimes had a bad press for its perceived failings in delivering major projects, managing contracts and procuring goods and services, and for the waste and inefficiency these can cause. Indeed, whole books have been written about the subject, with commentators doubting that the Civil Service can ever be as good at commercial negotiation and management as we are in more traditional roles, such as providing policy advice. Of course, our successes never get quite the same publicity. But some of the criticism has been justified. That is why I am fully behind initiatives to make the Civil Service more capable in its commercial dealings, as spelt out in the Capabilities Plan and its 2014 refresh. In fact, I have made this one of my top three priorities as Head of the Civil Service and it will remain so. I want to see us operating on the same level as the best-performing FTSE 100 companies – ensuring that we get the best value for money for the taxpayer but also taking a broader view, unique to the public sector, of ensuring the social value of effectively delivered projects and services. A key element in our strategy is to build on the commercial expertise we already have within the Civil Service through learning and development, and to bring in more private sector experience. Some of that expertise is on display in Civil Service Learning’s first-ever Massive Open Online Course (MOOC), on contract management, which you may have seen me tweet about recently. MOOCs are a relatively new concept in online learning, offering learners a new level of flexibility and interactivity and a global frame of reference. You can dip into them whenever you want over, in this case, a three-week period, and from wherever you are. You can watch and comment on videos, take part in quizzes, ask questions, discuss issues with respected experts and fellow course members all over the world, and learn from each others’ experiences. 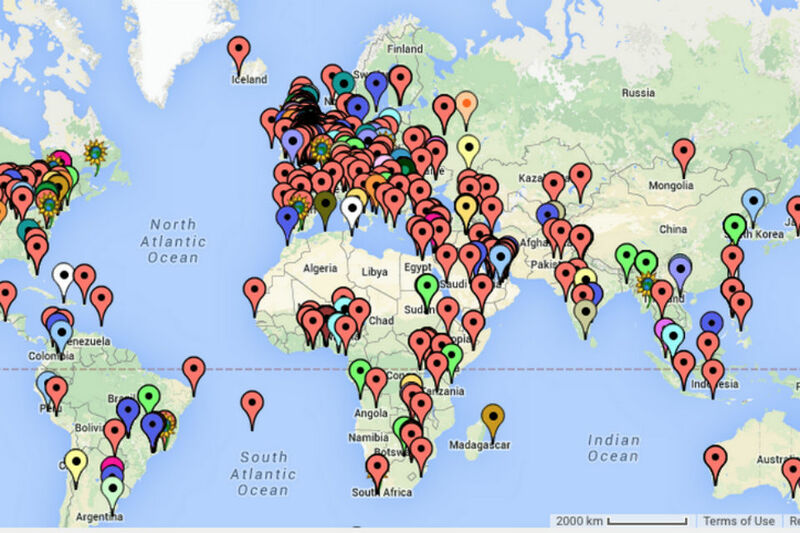 Map showing the locations of learners on the Contract Management MOOC. Contributions to the contract management MOOC by UK civil servants have drawn positive comments from users internationally and generated compelling conversations. A topic of discussion in course forums has been how the public and private sectors can learn from each other and ‘partner’ to deliver success that meets the twin imperatives of social and financial value. 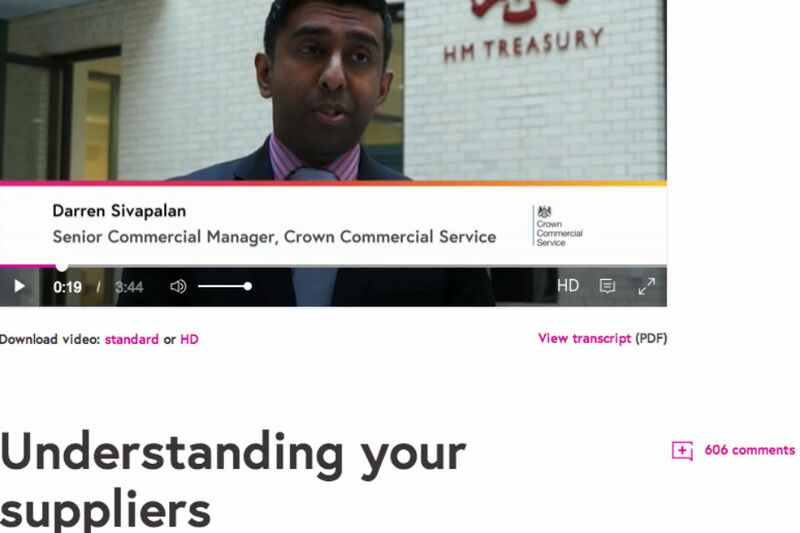 In one course video, Darren Sivapalan, Senior Commercial Manager, Crown Commercial Service, talks about managing relationships with government’s strategic suppliers and the importance of understanding what suppliers can and can’t do. Contract Management MOOC video interview with Darren Sivapalan, Crown Commercial Service. Commercial nous is something we need at all levels of the Civil Service, whether we are ordering stationery or commissioning major infrastructure projects. The principles of supplier engagement are the same, whatever the size of the contract you’re managing. So, don’t think this MOOC is only for those involved in large-scale contracts. The course is really easy to sign up for, completely free and, although it started on 27 April, it is still worth signing up – the online content and networking forums are available to you after the course has finished. Over 16,000 people from around the world have already registered. They include – I’m pleased to say – many UK civil servants, who make up about 20% of the total. As a Civil Service, we are getting better at being commercial. Ultimately, this means getting full value for the taxpayers’ money we spend – and, if anything, the need for us to keep improving is going to become even more acute. This applies to us all, not the commercial profession alone. From senior leaders down, we need to look at our jobs through a commercial lens, see what we need to do to to ensure that we choose the best, most cost-effective and innovative solutions, goods and services from the widest possible marketplace, and manage contracts and suppliers so we get what we are paying for. And when we spot gaps in capability, it is all our jobs to ensure we use the learning options that are available to fill them. MOOCs have been an interesting development, but seem to carry big problems associated with engaging people and getting them to complete a course or series of courses. Do you have any results on the level of usage and learner feedback, and perhaps what can be done to increase learner engagement? I could guarantee best value for money if I was allowed to use my own commercial accumen when purchasing small-medium goods and services. For example before I purchase something I have to look to see if there is a framework contract on a database that is not geared to small purchases. For example If I want to purchase some cameras for investigation work I have to find a framework supplier, when I know that I can get what I need cheaper from Amazon. If I want to order stationery items for our small office I have to use P2P (Banner) when I know that I could get the items cheaper. We are told that with these big suppliers on the framework contracts that government get better savings elsewhere but I never see those savings. I would like to see a real investigation into how much these large contracts actually save us and does the saving really cancel out the over charging that goes on at the smaller level with stationery etc? I appreciate that there can be economies of scale on the large scale projects like delivering capability with the building of a warship but why can't the smaller offices/business units be allowed more autonomy when it comes to managing their own budgets? Coming from a business background I cannot believe the way that my hands are tied when I try to save my business unit money. I have completed the course myself, and found it easy to follow, and to study in bite-sized pieces as time permitted. The links to interesting articles also encouraged further reading beyond the training material. Although it was about commercial contract management, a lot of the content was around stakeholder management and building successful relationships, which would be relevant to any role working with internal or external customers. I have encouraged my colleagues to have a go at whatever subject interests them - one of them has signed up for the Managing my Money and I will be going on to the Soil and Global Food Security courses, and will be loking for more work-related subjects too. I'm an OU student and found these courses more accessible if you are looking for a short study time and a variety of current topics. Small or emergency supplies are truly difficult to get hold of; if the main P2P supplier is out of stock - which one was for a business-critical item not long ago - the options are limited or non-existent. I don't mind the inquisition on trying to use alternative payment methods or sources, but the 'well you'll just have to do without then' attitude is intensely irritating, especially when you know that this would not apply in that office.